Cute and adorable. Both words are often used to describe the charm of this Chinese animal. However, the number that does not reach 2,000 in the wild makes many people nervous, including the Chinese government. The IUCN Red List of Threatened Species indicates pandas, including threatened (endangered) animals since 1990. In 2000-2002, only about 1,600 pandas were found in the wild. 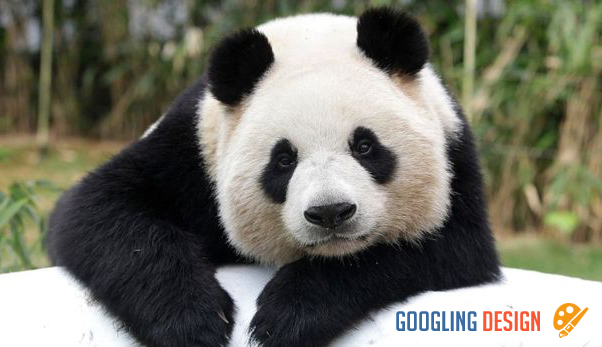 Panda or Latin called Aiuluropoda melanoleuca inhabits the southern part of the country of China. This large body of animals once occupied southern and eastern China. Fossil finds show that pandas have traveled north of Myanmar and Vietnam to Beijing. In 1850, roaming areas for pandas were located in the southern provinces of Sichuan, Hubei and Hunan. They settled on Mount Qinling and along the Tibetan Plateau in 1900. They are currently spread over six mountains, namely Minshan, Qinling, Qionglai, Liangshan, Daxiangling and Xiaoxiangling provinces in Gansu, Shaanxi and Sichuan provinces. . The International Union for the Conservation of Nature (IUCN) explained that factors such as the expansion of agricultural areas and human hunting meant that the number of pandas in the wilderness was decreasing. This situation forces IUCN to put it in the endangered category. However, this status is no longer valid in 2016. The global population of pandas has increased by 17% over the last 10 years. IUCN said the adult pandas population in China had grown to 1,864 people. If combined with a total panda baby, this number will increase to 2.060. This success has prompted IUCN to change the status of an endangered panda to a vulnerable (vulnerable) panda. Since China is home to two-thirds of the world's pandas, Beijing is taking serious action. Ronald R. Swaisgood, Dajung Wang, and Fuwen Wel in "The Pandas on the List but Not Out of the Woods" (2017) explained in detail the efforts of the Chinese government to increase the number of pandas in the wild. According to Guardian reports, Beijing has been conducting regular surveys to count pandas since the 1970s. In the 1974-1977 survey, 1,050 to 1,100 pandas were recorded in the country of the bamboo curtain. In 1985-1988, it was known that more than 1,120 pandas lived in China. In 1988, Beijing also promulgated a wildlife protection law to combat poaching that had reduced the number of pandas. Also according to the IUCN report, China launched in 1992 a "National Project for the Conservation of the Panda and its Habitat". In the 20 years of the program's implementation, 67 nature reserves have been created. The nature reserve has managed to protect 1.4 million hectares of pandas habitat, about 58% of the area covered by these animals. China also banned illegal logging in certain areas, including the panda cover area, in 1997. Research by Ronald R. Swaisgood and others revealed that this was done to prevent soil erosion. and reduce floods. Conservation activists then used this policy to protect the habitat of pandas. The result is not in vain. The number of panda habitats and hedgerows increases with the growth of secondary forests. In addition to regulation, the Chinese government also invites local communities living around the habitat to cooperate. Ronal R. Swaisgood and others stated that the government had issued a policy on the Grain-to-Green program. Farmers willing to convert their farmland to forests will benefit from economic incentives. In addition to providing benefits, the community has also been asked to monitor program violations. Beijing is also sponsoring important studies for policy development, management, and conservation strategies - including habitat mapping, threat documentation, and learning factors. socio-economic conditions that affect the habitat.